The values of Respect, Kindness, and Living without harm are taught, encouraged and developed through our tutor programme, assemblies, and through extra curricular opportunities, projects and ideas led by students and tutors. The programme has been introduced through our membership with PiXL, a partnership of roughly half of secondary schools nationwide, where best practice, ideas and resources are shared to develop school outcomes. PiXL introduced a scheme called ‘Them and Us’, focusing on the three values above, providing resources for us to adapt to our needs. The programme has been extremely successful so far in enhancing the sense of community that is so important within school. 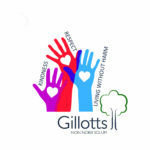 Acts of kindness are rewarded through our achievement point system, and our school twitter account @gillottshenley keeps our wider local community up to date with all the fantastic projects, schemes, fundraising and other events going on!